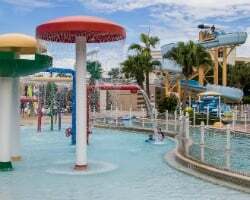 *Holiday Inn Club Vacations Cape Canaveral Beach Resort* is a beautiful resort located between Port Canaveral and Cocoa Beach, Florida! Come and enjoy the Caribbean atmosphere while you and your friends take a tube ride and float on a Lazy River ride. Sunbathe around the heated pool. Feel the rush of the 248-foot-long water slide. Invigorate yourself with the exercise room, tennis courts, basketball courts, and hot tub. 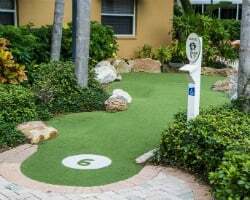 Play a round of miniature golf or shuffle board, or just have fun at the beach. See a movie in the theater or relax in the restaurant and lounge. Whatever you and your family choose to do, you will enjoy your stay at the Cape Canaveral Beach Resort. Enjoy a fun and family-friendly week in Cape Canaveral! This unit is used on a flexible basis during the platinum season. Prime location for all your vacation needs! Week 12 every year! Buyer may receive a title fee credit, inquire for details! OCEANFRONT! Spend unforgettable vacations in Cape Canaveral! Biennial odd usage in week 26! Buyer may receive a title fee credit, inquire for details! Prime location for all of your vacation needs! Week 47 on odd years! Buyer may receive a title fee credit, inquire for details! Within close proximity to beaches, theme parks and more! Week 28! Buyer may receive a title fee credit, inquire for details! Come to Cape Canaveral and see the many attractions! Beautiful waterpark, beachfront! Buyer may receive a title fee credit, inquire for details! Ocean Front! Various onsite activities for all ages and more! Week 27! Buyer may receive a title fee credit, inquire for details! $1,000.00 or best offer! Enjoy this terrific resort located between Port Canaveral & Cocoa Beach! Buyer may receive a title fee credit, inquire today! Wonderful family-friendly resort that offers something for everyone! Sunrises at the beach! Week 34 can exchange with RCI! Price reduced. Inquire now! 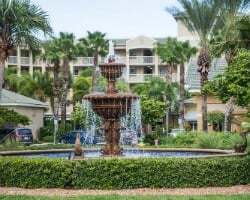 Beautiful resort within close proximity to beaches, theme parks and more! Week 22! Buyer may receive a title fee credit, inquire for details! 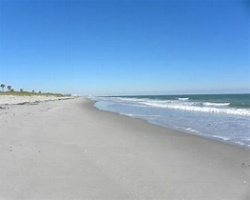 Lovely resort located between Port Canaveral & Cocoa Beach! Week 48! Buyer may receive a title fee credit, inquire for details! Caribbean style resort with amazing amenities and many near by attractions! Annual week 29! Inquire for details! Reasonable offers considered!!! Enjoy easy beach access, various onsite activities for all ages and more! Week 42! Buyer may receive a title fee credit, inquire for details! 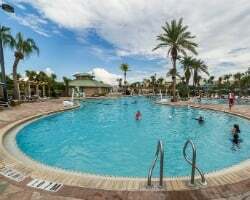 Enjoy this terrific resort located between Port Canaveral and Cocoa Beach! Week 20! Buyer may receive a title fee credit, inquire for details! Relax in luxury at this beautiful Caribbean themed resort! Stay every other year in silver season week 43! Make an offer today! Motivated Seller ! Many onsite activities available! Annual week 47 usage! Buyer may receive a title fee credit, inquire for details! Week 52 every year! Clear title, paid in full! Buyer may receive a title fee credit, inquire for details! Incredible location with many activities available onsite for all ages to enjoy! Week 28! Buyer may receive a title fee credit, inquire for details! Motivated Seller! Beautiful resort located between Port Canaveral and Cocoa Beach! Week 36! Buyer may receive title fee credit, inquire for details! Price Reduced! Motivated Seller! Great location with plenty of activities for all ages! Buyer May Receive A Title Fee Credit, Inquire For Details! Prime location for all your vacation needs! Floating Week! Buyer may receive a title fee credit, inquire for details! Enjoy pure relaxation to various exciting activities and so much more! Buyer may receive a title fee credit, inquire for details! Great resort for all ages with many amenities and activities onsite and nearby! Week 29! Buyer may receive a title fee credit, inquire for details!